To reduce your cost, Brandsport offers this item in Bulk (sold here individually). 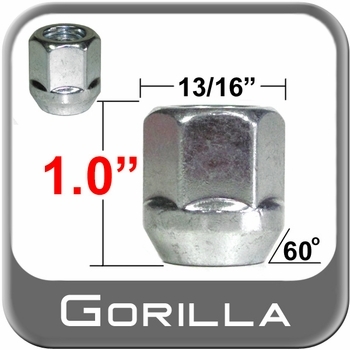 Gorilla also lists this same item in 4-piece sets as Display Package # 90007 and Bag # 90007B. The zinc plated finish will leave your tires looking new. Made to last because of the quality of the steel used in the product. .
Each seating surface makes contact with the wheel perfectly and makes driving a dream.